As the parent of a high school junior, I can’t help but worry about the impending college application process. I try to appear relaxed and good natured during the occasional moments that my son checks in with me, yet my mind is racing. “Yeah,” I casually agree, “Bradley Cooper really should win best actor.” All the while thought bubbles are frothing furiously above, “Have you begun studying for the March SAT? ; Have you identified teachers to write your letters of recommendation; What about your essay?” The list goes on. But were I to broach such topics, Thomas would scurry back to his bedroom faster than a terrified rabbit to its den. Instead, like a growing number of parents, I find that the best way to reach him about deadlines and such is with a lighter touch——through texts. And, remarkably, we get a lot of business done that way. Stripped of my anxiety, and managed on his timescale, texts are a direct line of communication. 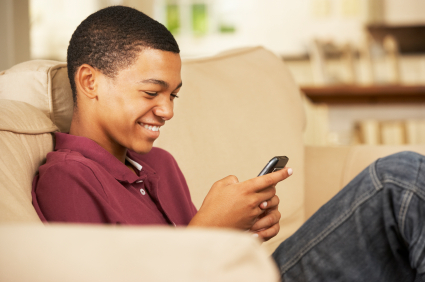 In other words, with texts we can all be nudging parents without being (too) annoying.